An experienced diver who traveled hundreds of miles to aid the search for a missing student found the boy’s body after only minutes in the water. Trevor Bankhead works as a commercial diver in Scotland, but traveled more than 170 miles to Durham, in the north of England, to join the search for missing university student, Euan Coulthard, after his brother Gary informed him of the ongoing operation. Coulthard was last seen on January 14 when he disappeared after a night out with friends. A large scale police operation began and a social media campaign alerted those in the surrounding area to Euan’s disappearance. 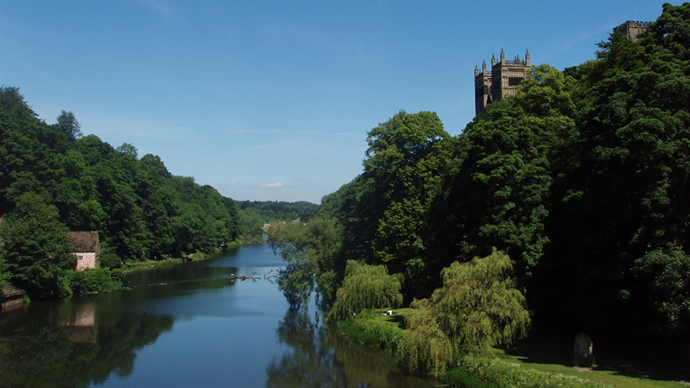 Bankhead believed he could be of assistance to police as he has experience of over 500 dives in the River Wear, which flows through Durham. It was here Coulthard was last seen on CCTV. Bankhead said he wanted to bring some closure to the student’s family. The former paratrooper trained as a diver during his 15 year stint in the Army, and felt his expertise could be of assistance. “I’ve done 500 to 600 dives in the river – four years ago I found the Bishop’s treasure and I thought I could use my local knowledge,” he added. Bankhead began to search for the student on the morning of January 23, and within minutes believed he had found Euan’s body. The search for Euan involved over 60 members of the police, fire and mountain rescue services, with many more students devoting their time to handing out flyers and raising awareness. Superintendent Andy Huddleston said they had wanted to use divers, but bad weather had hampered their efforts. “Trying to find somebody is far from an exact science, and the area we were searching was from Durham to Sunderland,” he added. Formal identification of the body is expected to take place on Monday.